If you thought Dr. Frankenstein was just a figment of Mary Shelley’s imagination, history is about to turn against you. If you believed connecting heads to different bodies was just a gimmick of old-school science fiction comics, here is a slap in the face from destiny. After successfully transplanting hands and even faces, neurosurgeons are now trying to live up to the ultimate challenge of transplanting a head. Yes, you read correctly, this is not a typo. Dr. Sergio Cavanero in Italy and Dr. Xiaoping Ren in China have already been trying to get around the legal and ethical hurdles that concern such a procedure, and they claim they can make it with more than a 90% chance of success. 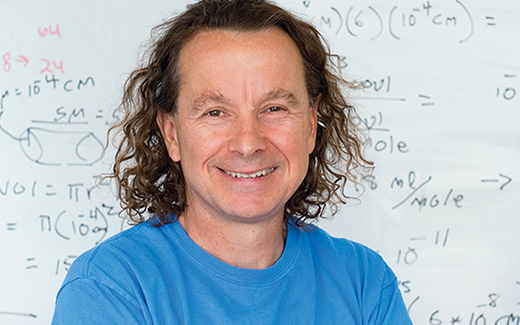 Detractors call him bombastic, but Dr. Cavanero pays no heed to critics. Most likely, the surgery will have to take place in China because no other country seems willing to permit it yet. Dr. Canavero is known to make unfounded claims and promote his work largely through the media. However, he is an accomplished surgeon with a solvent publication record in top-notch journals. 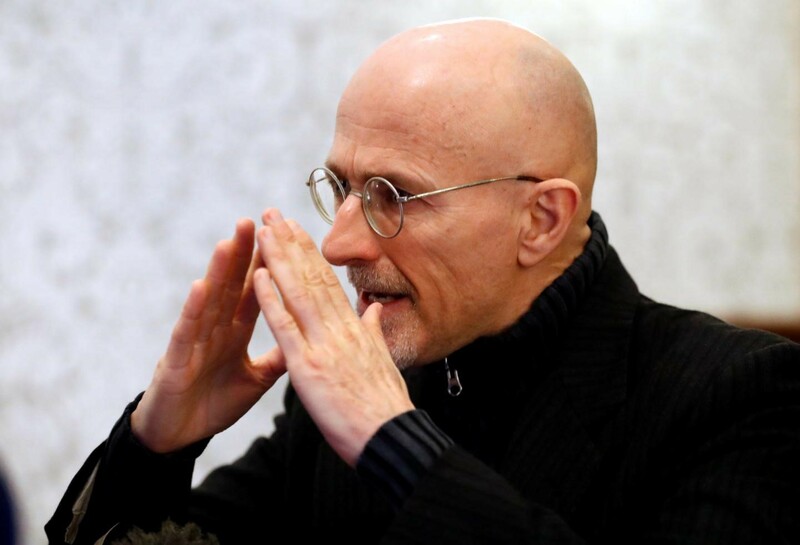 Dr. Sergio Canavero, who plans to carry out the world’s first human head transplant in December this year. A similar procedure has already been carried out in mice by Dr. Ren where the spinal cord was sectioned with a diamond blade and the nerves glued back. The miracle was made possible by a chemical known as PEG, poly ethylene glycol by its full name. This amber fluid can break open the lipid membrane, which lines the neurons and fuse together two different cells, thereby allowing them to function as a single hybrid cell. History is punctuated with attempts of head transplants in dogs and monkeys. The first “two-headed” dog came into being in St. Louis Missouri back in 1908. The bicephalic beast was again generated in the Soviet Union, and lived for 23 days. In the 1970s, a surgeon named Robert White transplanted the heads of several rhesus monkeys onto others’ bodies. And in January this year, Dr. Ren was able to duplicate the feat. Unfortunately, these animals couldn’t do much more than blink, breathe, and follow objects with their eyes. The first human to volunteer was 31 year old Russian, Valerey Spiridov. Paralyzed from the neck down, he can barely eat, type, or move the joystick that sets his chair in motion. He suffers from a rare muscle wasting disease. In spite of the surgeons’ optimism, concerns of all kinds have been raised. In the first place, the procedure entails the concert of 80 surgeons working together on the order of days. The limiting step in the process is keeping the brain cold after the head has been removed in order for it to be transplanted onto the donor’s body. The brain suffers irreversible damage within minutes of losing blood flow; cooling the brain can delay damage for up to one hour. In this procedure, only one hour is available by injecting a liquid into the head blood vessels and recirculating it throughout. Once the surgeons get that down, then comes the rest of the procedure joining of the arteries, veins, muscles, and, ultimately, the skin. Such a procedure requires a great deal of choreography and its cost is estimated at $10-100 million, depending on where it takes place. Is it worth it? Well, Spiridov himself initially said that he was not signing up for an expensive euthanasia and would not go through the operation unless success is guaranteed. But as the date approached, he announced he will not undergo the surgery. However controversial, if successful, this procedure would bring hope to those who become immobilized from spinal lesions. But this raises more questions than answers: if according to Drs. Ren and Canavero this technology is available, why not apply it to remedy spinal lesions? Many scientists and ethicists have slammed the project, accusing the surgeons involved of promoting junk science and raising false hopes. However shaky, others find scientific foundation in the project. What we know so far is that hearts, livers, kidneys, lungs, uteruses, voice boxes, tongues, penises, hands, and faces can be transplanted. So there’s good reason to think that the next logical step would be the head. However, in this case immunological rejection becomes more of an issue than in the previous instances. And who is rejecting who anyway? Is it the body donor who receives a head transplant? Or is it the head donor who receives a new body from a neurologically dead donor? Yet another way to look at it, what would happen if an older head was transplanted onto a younger body? Would we be at the gates of life extension technology? Another aspect to take into consideration would be personality. It is known that hormones produced by the body have an effect on the brain. Would this result in a body changing the person’s mood, a head commanding a new body, or a mixture of both? And if so, would the head donor be inheriting the ways of a dead person or imposing his on a corpse? There’s no previous evidence to back up claims in any direction, and, unfortunately, there is only one way to know. Summer is here and again sun, humidity, and mosquitos will relentlessly plague our days. But the firmament reserves something unique for us: a celestial spectacle we do not get to witness every day. On Monday August 21, 2017, a total solar eclipse will cast its shadow across America. For those who happen to be in the right place at the right time, a once in a lifetime experience will take place in the form of a couple of priceless minutes when the sky will switch colors like the canvas of a mad artist. But what is a total solar eclipse anyway? A total solar eclipse occurs when the Moon stands between the Sun and the Earth, briefly obscuring a patch of land where night and day become indistinguishable for a few moments. The majestic gift from Helios is as beautiful as it is ephemeral. Only two to five minutes in the path of totality guarantee the full-blown eclipse experience. The path of totality is a 70-mile-wide stretch of land that will diagonally run from Oregon, all the way down to South Carolina. In search of a reverse path of enlightenment, thousands of enthusiasts will travel to those areas, carefully mapped by NASA, where Selene and Helios will unite in the short-lived affair that the Ancient Greeks anticipated so many centuries ago. Hotel owners and tour organizers alike have also taken note of the event, offering the best rates to enjoy the unforgettable experience together with music festivals, river cruises or even a trip on horseback. Anticipation has been building during the last few months. Currently, myriad Web sites offer relevant information, including the best spots to view the eclipse, the weather forecast, timing, eclipse simulations, and the exact dates of past and future eclipses. As a matter of curiosity, the longest eclipse will last seven minutes and twelve seconds, and will happen on June 25, 2522 for those who are still around. The best maps can be found on the NASA site www.eclipse2017.nasa.gov, while www.eclipse2017.org offers everything you always wanted to know about eclipses but were afraid to ask. Some might wonder if those meager two minutes of glory are worth the travel, the wait and the expense. Well, here is what we can expect from a total solar eclipse. If you are within the path of totality, the so-called Contact 1 marks the beginning of the show. The Moon disk seems to tangentially come in contact with the Sun, biting a tiny little piece of its periphery. 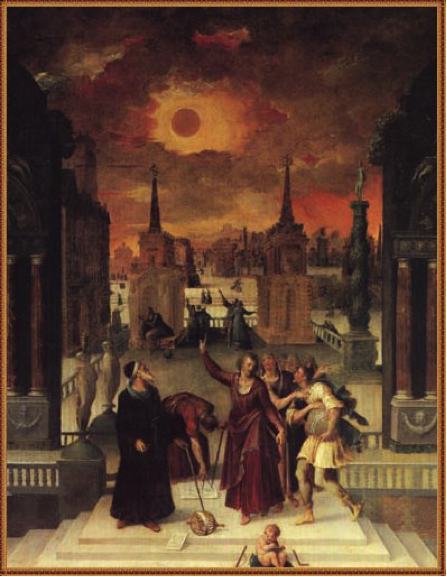 As it progresses further into the Moon, the Sun starts looking more and more like a crescent, the tables turn and it becomes “a little moon” for a moment. This image is priceless, though just as harmful as looking at the Sun at any other time: only special eclipse filters or glasses can be used to safely enjoy this moment. The good news is they are inexpensive and easy to find, remember: Google is your friend. As the Moon incessantly munches on the defenseless Sun, eclipse watchers will notice its shadow looming closer and closer. There is no way back; only a silver ring will be visible when the two celestial bodies finally join in this improbable turn of events. But there is more: from that point on the atmosphere becomes eerie, the air acquires a rare quality, the sky darkens, and birds start to chirp in bewilderment. As the temperature drops in the improvised night, the miracle finally occurs and the entire Sun is hidden behind the almighty Moon. Only then can one look at the Sun without protection, and only in these circumstances will one be able to see the Sun corona. An aura of plasma extends into the sky surrounding the Sun, like a pearly white crown emitting ever-changing rays. The glow of a multitude of mutating colors in a shimmering cotton candy around an impossibly black hole. No photo, no National Geographic documentary would do justice to the uniqueness and the magic of witnessing a total solar eclipse. Picture: Jason Banfelder, Director of the RU High Performance Computing Systems, talking about the most commonly used computing tools at the inaugural meeting of the SciComp group. 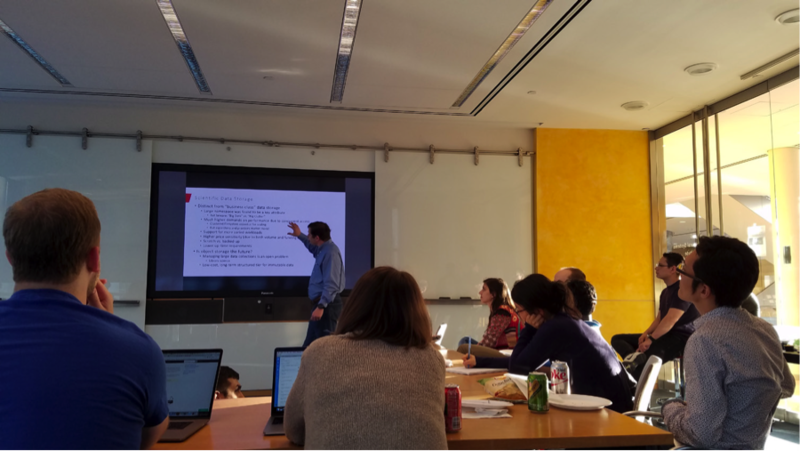 On April 12, Scientific Computing Users Group (SciComp) of The Rockefeller University’s (RU) held its inaugural meeting in CRC 406. The founders of the group, Jason Banfelder, Director of the RU High Performance Computing Systems (HPC), and first year graduate student Jazz Weisman, led the meeting. I caught up with Jazz Weisman about this new group on our campus. NS: How did you and Jason come up with the idea to start the SciComp group? I attended Jason’s Quantitative Understanding in Biology course at Cornell University and wanted to learn more. When I asked him about opportunities he said that starting a group is always a good, as well as a feasible idea. In fact, he had thought about starting something for a while as well. I actually recommend Jason’s lecture, or a similar intro level data analysis class, to everybody. A lot is already going on in that area, and we tried to create something in this pool. The future is definitely more computed, and we have to start somewhere. NS: What do you think is the biggest plus of the SciComp group? Painful and repetitive work should be reduced as much as possible. So many things can be done a lot easier with the help of computing, which will make repetitive tasks in science a lot less painful. But there are a lot of side benefits to our group. People get to know Jason as a representative of the IT department, which will make communication between the scientists in the lab and IT easier. People tend to be a bit shy about their computer skills, and we hope to make the IT department more accessible. Finally, we want to get interested people together. Labs can sometimes be a bit insulated; however, their computational interests would be similar. 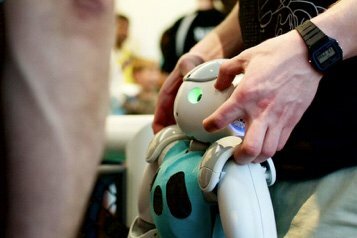 NS: Researchers (myself included) can sometimes be a bit scared of using new programs, even though we use computer programs daily. Why do you think that is? I think most are afraid of messing up their data. We also don’t want the design of our results to change, since we have long chains of experiments, sometimes generated over years, and a change in the output can sometimes make it hard to represent data neatly. But, as I said, most of our experiments come in long chains. Programming languages, such as R, Python or MATLAB, can simplify such tasks, and are actually a lot faster and easier to use than, for example, Microsoft Excel. Most importantly however, they make things repeatable, which is always better. If we use code to perform a string of tasks, this code can be given to a new student for example, and everybody can be sure the desired analysis was executed exactly the same way as usual. The student, on the other hand, can also study the string of code in peace and quiet, which will make understanding of the method easier for the new student as well. NS: What can people expect from those meetings? Are there exercises that you do on computers together, or is it more of a discussion round? Our group meetings usually start with a short talk of approximately 15-25 minutes on a chosen topic. For example, in our second meeting on May 18, we chose to talk about the data visualization tool ggplot2. After the presentation, we hope to get an open discussion going where everybody can ask questions. You can bring your laptop because it can help showing others the actual problem you are experiencing. It is not necessary that you attend the whole meeting; you can also just come for one part of it. We want our meeting to be an open thing. Also, we understand that everybody is busy and that you might have limited time for stuff. NS: Who can attend the SciComp meetings? What skill level is expected from participants? Absolutely everybody can attend our meetings and no previous experience is required. If you want to learn more on the discussed topic, please come. We expect nothing and are simply happy you are interested. If we talk about an R-based tool like ggplot2, for example, it will all make a bit more sense to you if you know some of the programming language R already. But it is not expected at all. We want the group to be widely accessible. Everybody who wants to should come! NS: What do you expect from the participants (ask questions, prepare, etc.)? People shouldn’t be afraid to get a discussion going. We are happy to answer the most basic questions! This is exactly why we thought the group environment would be nice, just to make everything more laid-back and relaxed. Ultimately we hope to also see group members helping each other out, with me or Jason only assisting when needed. NS: What topics will be discussed in the meetings? People can actually vote on which topic will be discussed. In this Google group, people should add their requested topics. If you and your colleagues want to learn about a specific program your lab is using, you should individually log onto the Google group and vote, so we can see how big the demand is. With this approach, reruns of hot topics are also possible if needed; just reenter the topic into the Google group. We hope to soon talk about DNA or RNA sequencing, which I definitely think is the topic most people are interested in at the moment. In addition, we will use the Google group for general updates as well as a place for people to ask questions. NS: In your inaugural meeting, you talked about the most successful tools currently available to get a feel for the needs and interests of the attendees. In the last meeting you discussed the R plotting tool ggplot2, which makes all kinds of beautiful plots and graphs. When will the next SciComp meeting take place and what topic will be discussed? We’ve decided to have the next meeting on August 3 in CRC 506 from 5:30 – 6:30. We will discuss Dynamic documents in R, presented by Thomas Carroll, head of the new bioinformatics resource center​. Finally, if anyone is interested in becoming a co-organizer they should contact me via email at jweisman@rockefeller.edu. I think that one or two more people to plan and put the word out could be a good thing for the SciComp group. Jason Banfelder, Director of the RU High Performance Computing Systems, talking about the most commonly used computing tools at the inaugural meeting of the SciComp group. Most of us here at The Rockefeller University, and the Tri-Institutions, do basic research: figuring out the molecular mechanisms of various life forms. Many of us also do translational research: taking that basic research and applying it towards a product. However, we all do our work for the betterment of the human race, to paraphrase Rockefeller’s motto. We are all concerned in some way, of different aspects of human health. Most of us have probably dealt with some data from the World Health Organization (WHO) at some point in our careers. How many of you know that WHO is currently in the process of electing a new head, the title of Director-General? How much of an impact this will have on our work remains to be seen, but WHO’s work effects many people around the world in some way. In 1945, Chinese United Nations (UN) delegate, Dr. Sze, proposed the creation of an international health agency under the UN to focus on public health. WHO was finally ratified on April 7, 1948. It was the first specialized UN agency to which every member pledged. In its early years, WHO ran programs to give mass vaccinations for tuberculosis and started a malaria and small pox eradication programs. They started an epidemiological information service that has become a standard today. In 1977, they released their first list of essential medicines: a list of drugs that WHO believes all countries around the world should have on hand. This can be very helpful to healthcare workers and advocates around the world in order to petition their governments for funding for these medications. In 1979, WHO reported that small pox had been eradicated, and with that, it became the first disease to be eliminated by human intervention. In 1986, WHO started its global program on the prevention and treatment of HIV/AIDS around the world. WHO is currently focused on many areas, primarily communicable diseases such as AIDS, Ebola, malaria, and tuberculosis. It also has programs promoting reproductive and occupational health, nutrition, healthy aging, and substance abuse prevention. WHO encourages countries to develop reporting methods, promotes cooperation between scientific and medical groups, and help governments develop research agendas. Today, it is known as the organization that puts health statistics from around the world in a unified system. Besides these accomplishments, WHO has also endured controversy and criticism. It reproached the Vatican’s ban on condoms as being dangerous considering the AIDS pandemic, and it has been criticized for its classification of red meat and cell phone signals as possible carcinogens. In recent years, they have had negative media attention for a slow response to the Ebola crisis. Some say their focus is too wide and that the organization engenders too much bureaucratic red tape and internal politics. There have been calls for more accountability and transparency within WHO. There has also been a lack of funding for many of their efforts. Located in Geneva, Switzerland, today WHO has 194 member states, and offices in Congo, Egypt, Denmark, India, the Philippines, and the United States. It is financed by contributions from member states, the largest contributor being the United States. WHO’s policy making branch is the World Health Assembly, which member states appoint delegates to. The delegates meet annually, usually in May, to vote on matters of policy and budget, and they elect a new Director-General every five years. The next election will have taken place by the time of this publication (at the end of May). The current Director-General is Margaret Chan, a physician from Hong Kong. Currently there are three candidates for the new head: Tedros Adhanom Ghebreyesus, from Ethiopia, Sania Nishtar from Pakistan, and David Nabarro of the United Kingdom. Whomever is elected will take office on July 1, 2017. 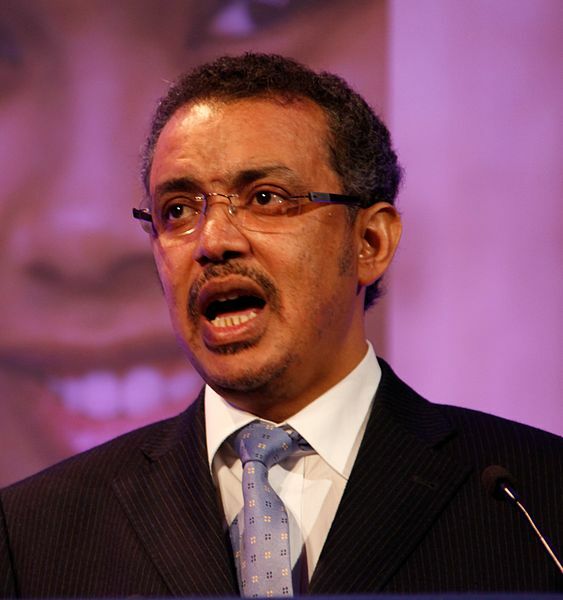 Tedros Ghebreyesus, 52, was born in Eritrea, and received a Bachelor’s in Biology from the University of Asmara in Ethiopia. He has a Master’s of Science in Immunology of Infectious Diseases from the London School of Hygiene and Tropical Medicine and a Ph.D. in Community Health from the University of Nottingham. He is the only non-medical doctor of the three candidates. Ghebreyesus’ first job out of college was as a junior public health expert for the Ministry of Health of Ethiopia where he worked on methods of malaria prevention. Then Ghebreyesus worked as the head of a Regional Health Bureau. He is recognized for a 20% reduction in AIDS and 70% reduction in malaria cases in that region during his tenure. In 2005, he was appointed Minister of Health. As Minister, he hired over 30,000 health extension workers throughout the country, increased hospital staffing and connected hospitals to the internet. He initiated a program that distributed 20 million insecticide-treated nets throughout Ethiopia. During his time as Minister of Health, deaths from malaria decreased by 50%, new AIDS infections by about 90%, and infant mortality by almost 30%. In 2012, he was appointed Minister of Foreign Affairs where he encouraged Ethiopia to adhere to WHO guidelines during the Ebola epidemic. He is known for having published many papers on malaria. As a candidate for Director-General, Gheebreyesus has stated that he supports strengthening health care systems and universal health care coverage. 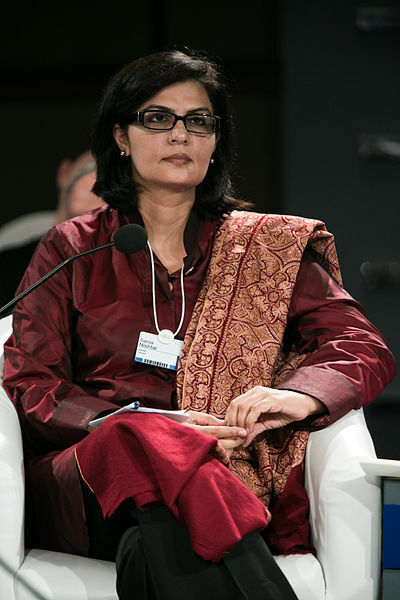 Sania Nishtar, 54, was born in Peshawar, and received her medical degree in cardiology from Khyber Medical College in Pakistan. She earned a Ph.D. in Medicine from King’s College London. After medical school, she worked as a cardiologist at the Pakistan Institute of Medical Sciences. In 1999, she founded Heartfile, a health policy think tank based in Islamabad, focused on ways to improve Pakistan’s health care system. She has served as an advisor to WHO on many occasions, most prominently co-chairing the WHO Commission on Ending Childhood Obesity. Nishtar wrote Choked Pipes: Reforming Pakistan’s Mixed Health Systems, a book that was published in 2010. In 2013, she was a Federal Minister in the Government of Pakistan, overseeing the Ministries of Science and Technology, Education and Training, and Information Technology and Telecom. In this role she helped establish a Ministry of Health. Nishtar is a member of the Lancet and Rockefeller Foundation Commission on Planetary Health and the Working Group on Private Sector Health Systems established by Results for Development and the Rockefeller Foundation, among many other boards. 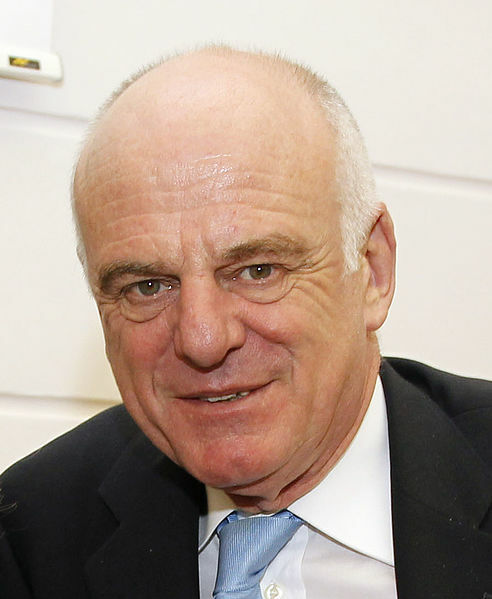 David Nabarrro, 68, is from the United Kingdom and obtained his medical degree from the University of Oxford. In his early years, he was a Medical Officer for Save the Children in Iraq and a District Child Health Officer in Nepal. Later, he became South Asia Regional Manager for Save the Children. Nabarro joined WHO in 1999, first as a project manager for Roll Back Malaria, a partnership among countries to coordinate efforts against malaria. Next, he helped start their Global Fund to Fight AIDS, Tuberculosis, and Malaria. In 2003, he moved to WHO’s Sustainable Development and Healthy Environments division. He was the UN Special Envoy on Ebola in 2014. In 2015, he was Chair of an advisory group on WHO’s responses to outbreaks and emergencies. Now he is special advisor to the UN Secretary-General on sustainable development and climate change, and leading the UN’s response to the Cholera outbreak in Haiti. Nabarro has said that if he is elected WHO Director-General, his four goals would be: sustainable development goals, responses to outbreaks and emergencies, building relations with member states, and people-centered health policies. By the time this issue comes out, it may be publicly known which of these candidates will be the next Director-General of WHO. Whichever one of the three candidates is elected Director-General, let’s hope WHO keeps up their high standards of statistic reporting and encouraging collaboration between scientific groups. Rebooting the traditional food production model to improve climate and environment is driving innovative entrepreneurs to pursue a vegan path. The resulting alt-foods are, unlike alt-facts, solidly grounded in science, as the personnel list at these companies—data scientists, bioinformaticians, chemists, biologists, nutritionists and chefs—attests. While we already have soy-based meat alternatives, such as tofurky and veggie duck, the challenge lies in faithfully replicating, and even exceeding, the appearance and taste of animal-derived food products using solely plant-derived substitutes. The most prominent/poster child of these is the Impossible Burger created by Impossible Foods – a one hundred percent vegan burger made with potatoes, beets, coconut oil, and most importantly, a plant version of heme protein—a distinctive component of animal muscles, which gives meat its distinctive taste. The founder of Impossible Foods is aware of the high threshold he has to overcome to win over die-hard meat-lovers. But undaunted, that is his goal—to not simply improve food options for vegans and vegetarians but to convert red in tooth and claw carnivores. So far, the feedback is encouraging with comparisons to turkey burgers. The Impossible Burger isn’t alone—Beyond Meat, another startup, has a handful of pea- or soy-based “meat” offerings, including the Beyond Burger, Beyond Chicken Strips, and Beyond Beef Crumble that can be cooked just like the meat items they aim to replace. For those of you who failed to celebrate National Hamburger month (May) this is your chance to make amends. The Impossible Burger is served at several establishments countrywide, including BareBurger & Saxon+Parole here in NY. The Beyond Burger is available in grocery stores, including Whole Foods Market. The stronger green credentials of Impossible Foods’ and Beyond Meat’s approaches are to be appreciated when compared with the efforts of Modern Meadow, a Brooklyn-based biotech company that aims to grow meat and leather in the lab using cultured cells from livestock. While noteworthy and arguably a more difficult undertaking to grow meat from scratch, the trouble with cultured mammalian cells is the requisite fetal bovine serum—a vital elixir for their sustained growth & nourishment—derived from unborn calves’ blood which doesn’t exactly circumvent the environmentally wasteful and greenhouse gas-emitting livestock industry. Evidently, eggs from cage-free and pastured chickens weren’t sufficiently humane for the founders of Hampton Creek—they decided to get rid of eggs altogether, substituting them with a yellow pea protein as the emulsifier in their vegan Just Mayo. The company has other vegan offerings (salad dressing, cookie dough) and a mission to mine the cornucopia of thousands of plants to create cheaper, healthier and more stable foods than those that are animal-derived. Living in NY, we are quite spoiled for dietary choice. Even so, one can imagine there can be moments when nothing appeals to the taste buds and yet life must be sustained. At such times, one can reach for Soylent—a completely animal-free food that provides a nutritionally complete meal from soy, algae and other plant-derived components in several easy to consume formats: bottled drink, powder, bar, and best of all, coffiest—breakfast + coffee in one drink. It seems like it was designed with busy New Yorkers in mind—no cutlery or flapping containers to deal with, just chug or chomp and go! For those of us who are neither culinarily gifted nor inclined, Soylent can replace hours of schlepping groceries, prepping ingredients and slaving over a stove before finally indulging in a meal. To some ardent foodies however, Soylent seems abhorrent (not least owing to the sci-fi reference) and only to be resorted to in a food desert. Our industrial food system provides bountiful affordable nutrition and so the pressure to embrace these innovations is not yet urgent. Do we have this luxury? The human population is set to climb from 7 billion to just under 10 billion by 2050. The climate change debate is raging but the disappearing summer Arctic ice signifies a stark reality. However, a noble impetus to save the earth cannot force adoption of the healthier and sustainable foods 2.0. Ultimately, their success will be determined by the most important factor—taste. April is National Autism Awareness Month. 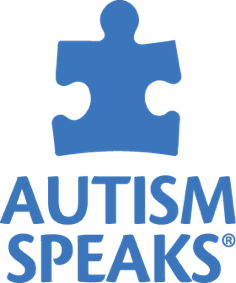 April 2 is a day meant to create consciousness, tolerance and acceptance of people with autism spectrum disorder (ASD). A better inclusion in society is essential to increase their quality of life and expectations. Autism spectrum disorder encompasses a vast range of behaviors, genetic mutations and neurophysiological conditions. For this reason, it is difficult to find common traits that unanimously describe people with ASD. It is well known that those with autism have a different perception of the world. They have a strong sensitivity to sensorial stimulus, such as light and sound, that is mild for most people. As these stimuli can be extremely disturbing for people with ASD, they may consequently avoid them with behaviors that appear incomprehensible from the outside. However, it is a natural reflex in all living beings to elude harmful stimuli, it is probably one of the adaptive behaviors that enabled us to survive on earth. How different would these behaviors appear if we were all aware of the reason behind them? Were that the case, we would probably support them instead of meeting them with a frightened expression. It is therefore crucial to generate awareness in society about the sensorial hypersensitivity of people with autism in order to integrate and accept them, instead of excluding them due to ignorance. There are also notable differences in people with ASD in their ability to localize their attention on single tasks. While it is generally challenging to captivate their attention with things they don’t find interesting, once something has caught their attention they can spend long periods of time focusing on such activities. A great example of this is the number of outstanding artists and musicians with ASD. An open question for scientists and physicians is whether this ability to focus on one thing at a time is also related to their social withdrawal. Understanding the brain circuits required to localize attention as well as those required to establish social interactions and empathy with other people is certainly essential to developing therapies to integrate people with ASD into society. However, understanding and societal acceptance is also crucial to reduce their social withdrawal. A rather worrisome subject concerns the general panic originated almost twenty years ago about a possible relation between autism and vaccines, in particular the measles, mumps, and rubella (MMR) vaccine. This controversy was originated by a biomedical research article that intended to show that this vaccine caused several behavioral and physiological disorders, including autism. However, strong irregularities during data collection and analysis were found in this work, and it had to be retracted by the authors after no other group could reproduce the results. Extensive research in the past fifteen years demonstrated that there is no evidence for a relationship between vaccines (including ingredients present in them) and autism. Unfortunately, the unfounded belief that vaccines can cause autism continued to grow and spread around the world causing a large number of parents to stop vaccinating their children. This leaves both children and adults vulnerable to severe complications including pneumonia, encephalitis, blindness, diarrhea, ear infections, paralysis, and death. As vaccine-preventable diseases are nowadays rarely found in several countries, one may think that they have already been eradicated. However, the infectious agents that cause them are still present in some parts of the world and can easily spread and infect anyone who is not immunized. This has already lead to significant measles outbreaks in unvaccinated populations in Austria, Belgium, Denmark, France, Germany, Italy, Spain, Switzerland, and the United Kingdom as well as the United States. This could have easily been prevented by vaccination. We cannot go backwards in history and waste years of medical and scientific advances. The risk of not taking vaccines far surpasses that of taking them. It depends on us to make responsible and informed decisions about vaccination in order to protect ourselves as well as those around us. Easter brings to mind egg hunts, chocolate, jelly beans, and the Easter bunny. In Christianity, Easter is the holiest and oldest of all traditions, and it’s related to the even more ancient Jewish festival of Passover, which is described in the Old Testament. Both holidays are often celebrated at the same time of year, in the same week. Passover takes place over one week in remembrance of the exodus of the Jews from Egypt. For Christians, Easter commemorates the resurrection of Christ after his crucifixion. Many things about Easter are neither Jewish nor Christian in origin. For example, the English name “Easter” and the German name “Ostern” are both derived from old Germanic roots. Also, the traditions of having an Easter eve bonfire or burning Easter wheels come from Germanic and Celtic heliolatry, or sun worship. Even the popular colorful Easter egg has its origins in another pagan belief: it was considered a symbol of fertility in Egypt. Today, eggs are synonymous with Easter in many countries, including Germany, Austria, Italy, and Switzerland. At the end of Lent, hard-boiled eggs are colored, Easter trees or bouquets are decorated with little wooden figurines and hollowed-out painted eggs, and people buy or bake special sweet Easter breads, often bursting with raisins. But how is Easter viewed and celebrated in Italy? There is an Italian proverb which says: ‘Natale con i tuoi, Pasqua con chi vuoi’ (Christmas with your family, Easter with whoever you wish), which illustrates the fact that Pasqua (Easter) is considered a less intimate festival than Christmas. You probably won’t see the Easter bunny if you’re in Italy for Easter, but you will find some interesting Italian Easter celebrations. Like all holidays in Italy, Easter has its share of rituals and traditions. The Monday following Easter, la Pasquetta is also a public holiday throughout Italy. While the days before Easter in Italy include solemn processions and masses, Easter is a joyous celebration. Easter mass is held in every church in Italy, and the biggest and most popular Mass is held by the Pope at Saint Peter’s Basilica. On Good Friday, the Pope celebrates the Via Crucis or Stations of the Cross in Rome near the Colosseum. A huge cross with burning torches lights the sky as the stations of the cross are described in several languages. At the end, the Pope gives a blessing. Solemn religious processions are held in many towns on the Friday or Saturday before Easter and sometimes on Easter Sunday. Many churches have special statues of the Virgin and Jesus that play a big part in the processions. The statues may be paraded through the city or displayed in the main square. Parade participants are often dressed in traditional ancient costumes. Olive branches are often used instead of, or along with, palm fronds in the processions and to decorate churches. Since Easter is the end of the Lenten season, food plays a big part in the celebrations. Normally we spend Domenica di Pasqua (Easter Sunday) with the family, engaged in the traditional act of stuffing ourselves with food, such as roasted lamb or kid, hard boiled eggs, which have been taken to church to be blessed at the end of the Mass, and of course chocolate eggs. 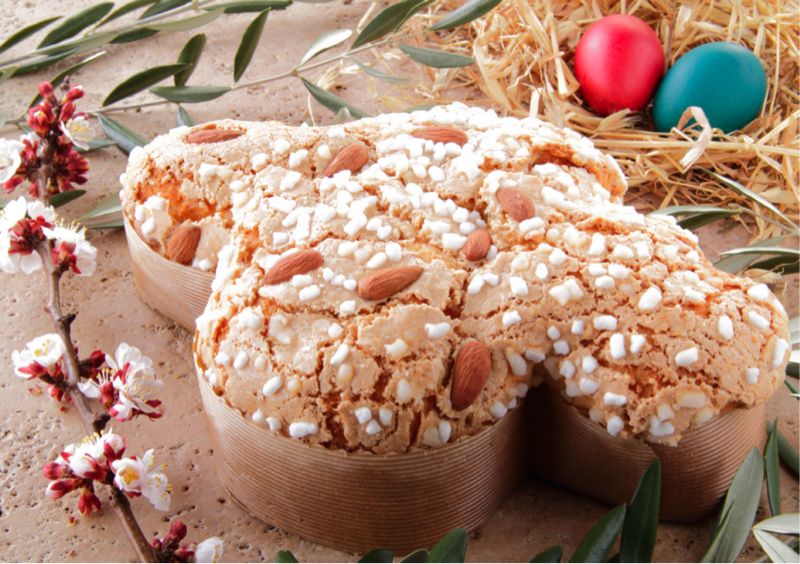 The traditional Easter cake is la Colomba (the Dove), a cake similar in flavor and consistency to the Christmas cake Panettone, but baked in the form of a stylized dove. It’s studded with candied orange peel, then topped with almonds and a sprinkling of sugar to form a crisp, nutty crust. Numerous myths surround the Colomba cake. According to one particularly dramatic story, the city of Milan was defending itself against invaders on Easter in 1176. Just when the Milanese seemed destined to lose the battle, three doves flew over the city. Soon after, the battle shifted and the invaders were vanquished. Legend holds that after the victory, the Milanese celebrated by eating cakes shaped like their savior doves. Although Italians do not decorate hard–boiled eggs nor have chocolate bunnies, nor pastel marshmallow chicks, the biggest Easter displays in bars, pastry shops, supermarkets, and especially at chocolatiers are brightly wrapped uova di Pasqua (chocolate Easter eggs) in sizes that range from 10 grams (1/3 ounce) to 8 kilos (nearly 18 pounds). Most of them are made of milk chocolate in a mid-range, 10-ounce size by industrial chocolate makers. All eggs contain a surprise. The very best eggs are handmade by artisans of chocolate, who offer the service of inserting a surprise supplied by the purchaser. Car keys, engagement rings, and watches are some of the high–end gifts that have been tucked into Italian chocolate eggs in Italy. Another traditional Easter dessert that’s popular in Naples and southern Italy is pastiera, a ricotta and whole grain pie with a mouthwatering aroma so distinctive that any blindfolded Neapolitan could instantly identify it. Pastiera is considered by many to be one of Italy’s most important desserts. It is prepared in special pans, whose edges angle slightly outward. The pie is often given away as a gift and always in the pan it was baked in because of its fragile pastry. The pie needs to rest for two days for the flavors to meld, so it’s traditionally finished on Good Friday so that it will be ready for Easter. Pastiera has become so popular that it is now available year-round in Naples. The day following Domenica di Pasqua is Lunedi’ di Pasqua (Easter Monday), better known as Pasquetta (Little Easter) or Lunedi’ dell’Angelo (Monday of the Angel). The name Lunedi’ dell’Angelo refers to the Gospel story in which the women who went to Jesus’ tomb to anoint his body the day after Easter were told by an angel that Jesus had been resurrected. This day is probably the most popular part of the festivities for Italians, and it’s traditional to celebrate Pasquetta with a “gita fuori porta“ (a trip outside the city gates), usually for a picnic with friends. One interpretation of this tradition comes, once again, from a Gospel story which recounts that on the day of the resurrection, Jesus appeared to two disciples who were travelling to Emmaus a few kilometers outside the city gates of Jerusalem. The gita fuori porta tradition could be seen as a kind of “re-enactment“ of this story, although like many traditions most people are not really aware of its origins. A way to spend the gita fuori porta is a visit to a small historical town. Many of these towns will hold an event, such as an antique market, and will be packed with tourists. Whatever is done for Pasquetta, the deciding factor is, of course, the weather: everybody always hopes for a beautiful sunny warm day. I wish to everybody a peaceful and happy Easter. Buona Pasqua a tutti! As I’ve said many times one can liken the Oscar race to a horserace with each studio betting on its thoroughbreds hoping to place in the end. The studio is the owner, public relations is the jockey, and the horse is the actor or film in the analogy. Here I’ve included my rankings as they stood on Oscar nominations eve—the number in parentheses indicates my placement following nominations. I chose eight nominees for Best Picture out of a possible ten. All other categories reflect five nominees. The picks that appear in black text within the table were my nominee picks, those in red represent actual nominees that I had not selected. It’s worth mentioning that from the moment I saw Nocturnal Animals, I knew that Michael Shannon would get a nomination, as evidenced in last month’s column. But as the race headed toward the finish line, Aaron Taylor-Johnson started appearing on the precursor circuit with a win at the Golden Globes and a British Academy of Film and Television Arts (BAFTA) nomination, so I went with him. When my younger brother was a child, he had a hard time following the teacher’s instructions at school. 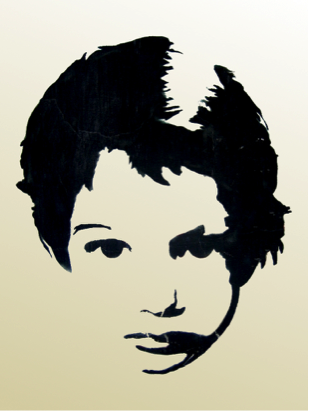 He was not intellectually incapable, but a restless and vivacious youngster. When the teachers found themselves unable to create any method to capture the interest and attention of this little creature, he was evaluated by a psychiatrist. The result was categorical—he was one of the unfortunate kids diagnosed with attention deficit hyperactivity disorder (ADHD). My mother had to choose between dealing with a lively child or having to medicate him with psychostimulants such as amphetamines. The risk behind these drugs is not only that they do not improve learning abilities or memory, but essentially that they cause strong addiction, psychosis, heart attacks, dysfunction of heart tissue, and even sudden death. While brain disorders affect as many as one out of every five people, over-diagnosis boosts these numbers due to the lack of specific biological markers in the field, resulting in millions of people over-medicated with antipsychotics, psychostimulants, pain relievers, and tranquilizers. Particularly alarming is the dramatic increase in antipsychotic prescriptions in children under eighteen, including infants between one and two years old. Stimulants like amphetamines are chronically prescribed to adults, children, and toddlers diagnosed with ADHD in order to improve their concentration capabilities. But, why obsess over a toddler’s concentration? Do they need to be under the effect of one of the most addictive and destructive drugs to receive love and adequate boundaries as they grow up? For a kid that is constantly bombarded with excessive information, duties and activities, focusing is not trivial. When I was a child (and that now feels like a long time ago), children had tons of free time to play and socialize with other kids, to struggle with their homework, to develop their creativity by building new toys from old pieces of wood or cardboard, and to think about the failures and victories in their hitherto short lives. Nowadays, modern society has brought technology deeply into our intimate spaces, even those of children. Surrounded by tons of electronic devices, video games, and TV shows, kids no longer struggle to create their own entertainment, they are constantly bombarded with more information than they can assimilate, and they don’t have time to get bored. If we also consider that couples are having babies at older ages, often helped by fertility treatments, the scene looks very scary, with kids being a precious trophy that must be protected at any price. This is a well-known psychosocial phenomenon known as “helicopter parents”, middle class couples that behave in an over-protective way, hovering above their kids at every moment, making them insecure, anxious, highly dependent and depressed. We should ask ourselves as a society, as a health care and educational community, whether this form of parenting is responsible for the high levels of anxiety, depression and attention deficits shown by our children. How can we justify giving psychostimulant medication, such as Adderall or Ritalin, to toddlers? These drugs will not increase their learning capabilities, nor their memory capacities. Isn’t this a case where the remedy is worse than the disease? Before prescribing a stimulant drug to a toddler or a child, we must be aware of their psychosocial environment and ask ourselves whether chronic medication is going to make their lives better. When Sheikhs invest in solar, you know a paradigm change has arrived. A slew of sun-drenched Middle Eastern states, prompted by the now-favorable economics of renewable energy, and a concomitant cloudy outlook for fossil fuels, are looking to transition their oil-heavy economies towards solar energy production. Closer to home, New York State Governor Andrew Cuomo too has a vision—expedited in no small part by the exigencies of climate change, economics & energy security—to secure a clean, affordable and resilient post-oil future. Governor Cuomo’s Reforming the Energy Vision (REV) commits NY state to a Clean Energy Standard (CES) with the goal of meeting at least 50% of the state’s energy use with renewable sources such as solar, wind, hydropower and geothermal energy and reducing greenhouse gas emission levels from 1990 by 40% by 2030. This was prompted by the US Environmental Protection Agency’s (EPA) Clean Power Plan (CPP), which mandates a less stringent 32% reduction in carbon emissions from 2005 levels by 2030. The pivot to renewables has many causes. First, cost is king and with renewables at least, cheaper is better. 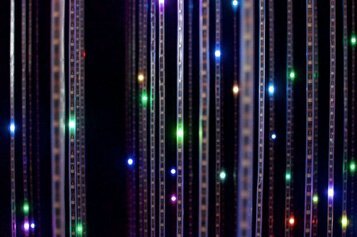 Advances in technology—cheaper, more efficient photovoltaic (PV) cells and wind turbines; souped up batteries to tide over times when the sun isn’t shining or the wind isn’t blowing—have brought down costs and increased reliability so much that the sector is competitive (as low as under $0.04/kWh) versus fossil fuels. Upfront investment costs are lowered by tax credits and net metering rules, which allows the sale of unused energy back to utilities to recoup expenses. Tax credits in particular were essential to the adoption of renewables, although the necessity of subsidies is receding as the industry is able to stand on its own merit. In December 2015, a divided Congress rallied to extend the 30% Investment Tax Credit (ITC) for solar energy & the 2.3-cent/kWh Production Tax Credit (PTC) for wind energy for five years (through 2020), among a slew of renewable subsidies, to ensure successful implementation of the CPP. On current form, the importance of such subsidies will diminish further as innovation continues to drive down costs and bring about mass adoption. Second, climate change and environmental concerns lend an urgency to the transition to clean and low-carbon energy sources. Credit Hurricane Sandy for the harsh reminder that ocean levels are rising and reclaiming low-lying flood-prone land. The energy sector appears to be a zero-sum game with the rise of renewables occurring at the expense of the coal industry where a projected 50GW of capacity is expected to be lost by 2022 and, indeed, completely phased out in New York state. The upheavals of this energy revolution have being manifested in the rise of populist presidential candidate Donald Trump, fueled in part by the loss of jobs in America’s Rust Belt. Advocacy groups such as the Sierra Club and ardent environmental activists are also playing a significant role in the adoption of low-carbon fuels. The Sierra Club’s Beyond Coal Campaign organized a community-based push for off-shore wind energy investment with a Clean Energy rally in lower Manhattan followed by personal testimonies from state-wide attendees to the Public Service Commission. These efforts paid off in the adoption of a 90MW offshore wind project, the largest in the country, in federally leased waters off Montauk, in a tie-up between the New York Power Authority (NYPA), the Long Island Power Authority (LIPA) and Deepwater Wind, a private company. Moreover, the CES envisions establishing New York state as a clean energy powerhouse to safeguard the economic future of the state’s workforce by ensuring its technical expertise in the renewable energy sector. Slated to be one of the largest solar panel factories in the world, a 27-acre $750m SolarCity battery facility financed and constructed by New York state is another example of the economic thrust of the REV. The high-efficiency solar panels manufactured in the gigafactory produce electricity at a cost of roughly $2.5/W and production is expected to hit full capacity in late 2017. The REV is expected to lower energy bills through localized power generation and distribution, furnish a greater choice of energy providers to reduce dependence on a central utility, advance net-zero energy efficient smart homes that can be controlled remotely, boost employment in the hi-tech renewables sector and improve overall quality of life from the greening of the energy industry. A macrophage is on the hunt. Crawling and sniffing its way across a petri dish, this “big eater” lunges forward, its rolling membranes like tank treads, toward a colony of bacteria. A pall descends on the prokaryotes, and soon a membrane washes over them like a toxic blanket. The engulfed bacteria, momentarily stunned, find themselves in the belly of the macrophage and attempt to regain their bearings. They never see the army of lysosomes marching toward them, with acid knives drawn and thirsty. Zanvil Cohn looked up from his microscope and snapped a photo of the battle below. This phenomenon of cells eating cells, or phagocytosis, was well known immunological territory. But armed with time-lapse microscopy, Cohn could record how the macrophage moved and ate in startling detail; with James Hirsch, Cohn discovered that lysosomes swooped in to digest bacteria when engulfed. Cohn and Hirsch ran a joint lab at the then recently renamed Rockefeller University that was an epicenter of macrophage research in the 1960s. 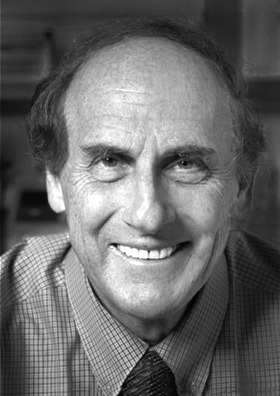 Housed in the Southern Laboratory (now known as Bronk) and under the guidance of the eminent René Dubos, Cohn and Hirsch made landmark discoveries on how these cells defended against microbes, using the latest techniques to finally begin answering questions as old as immunology itself. Last year, gender inequality in science hit the headlines of numerous major scientific journals. Several remarks from notable scientists about their thoughts on women working in science brought up again the dearth of women in STEM (science, technology, engineering and math) fields to the public consciousness. According to the US Bureau of Labor Statistics, nowadays women make up almost half of the total US workforce and half of the college-educated workforce. However, women are much less represented in STEM fields, holding less than a quarter of the STEM jobs. It is known that women hold a low share of undergraduate STEM degrees. It is curious that women with STEM degrees are less likely than their male counterparts to become STEM professionals. On the other hand, women with STEM majors are twice as prone as men to work in healthcare or education. One imagines that there are many factors contribute to this disparity of men and women in STEM fields, such as gender stereotyping, lack of female role models, less family-friendly flexibility, motherhood or even gender biased hiring. There is considerable research demonstrating gender biased hiring practice in a variety of fields, but do these practices also plague the science field? A study published by Moss-Racusin et al. in PNAS (2012), tells us that these types of practices not only occur in science but they are more common than we imagine, happening frequently in a field where its members have been rigorously trained to be objective. You may be surprised to know that if your name is Jennifer your chances of working in science, technology, engineering or math are considerably lower than if your name is John. It won’t make much difference if your name is Mary, Lisa or Amy. There is a disparity when you compare yourself with other male opponents such as Charles, James or Brian. You will also make less money for the same job, and if you ever get a tenure track position in an elite institution you will be surrounded by many male colleagues. Such is the worrisome situation of women in science presented by this study. However, looking at the career of our guest, you could think that things would be different if your name was Leslie Vosshall. Success seems to follow her around. She managed to thrive in a challenging environment, while achieving a meteoric rise to excellence in science. Her career could be considered as a perfect illustration of gender equality pursuit in biosciences. Born and raised in New York City, Vosshall received her B.A. in biochemistry from Columbia University, and her Ph.D. in molecular genetics from The Rockefeller University (RU). After graduate school she returned to Columbia University for her postdoc under the mentorship of Nobel Laureate Richard Axel. Leslie Vosshall has made important discoveries in the field of olfaction since her early days in as a neuroscientist. She started by decoding the olfactory sensory map of the very cute fly Drosophila melanogaster. Her scientific discoveries continue to unveil the mysteries of the brain, covering a variety of models from insect to human. After a successful postdoc, she came back to RU as an assistant professor, where she currently holds the position of Head of the Laboratory of Neurogenetics and Behavior. 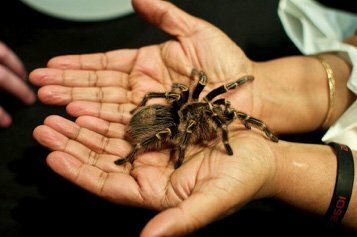 She spent years having fun with pheromone perception, odorant receptors, chemotaxis behavior, odor memories, and building a molecular architecture of smell in flies, mosquitoes and vertebrates. In another era, she could have been the most prosperous perfume chemist in all of Europe. Let’s say that with her proficiency, she would have blown away the sense of smell of Louis XIV! With the Sun King in her favor, I imagine her as one of the most influential people in the eighteenth century Versailles Court. Once again, knowledge is power and whether in the eighteenth or the twenty-first century, it is no doubt that she is an outstanding female role. As a sign of quality, we can observe a consistency in her publications in top peer-reviewed journals. She also manages to share time with her family, including two children. During her career she has been the recipient of many awards and honors: the Prize for Innovative Research in Neuroscience by Duke University, the New York City Mayor’s Award for Excellence in Science and Technology and the Presidential Early Career Award for Scientists and Engineers (PECASE) among others. In 2015 she was elected to the National Academy of Sciences, quite an outstanding achievement reserved only for top leading researchers, and where every year only a few women are picked to be part of this select group of scientists. I am certain that her career path was not easy; that it was hell until she got here; but also despite the draining effort, she enjoyed it all along. I assure you that she would not switch places with any male coworker, or have chosen a non-STEM career. 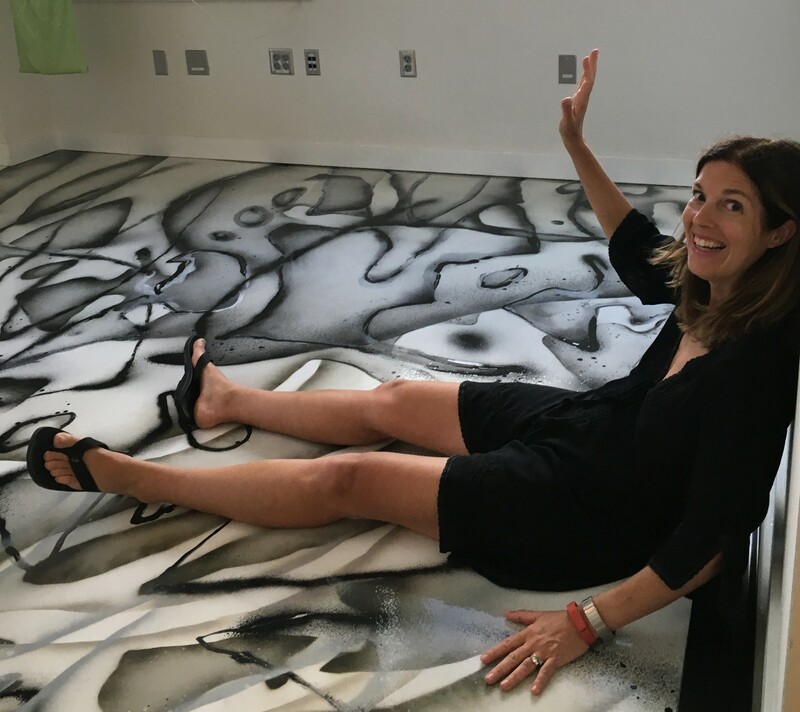 Leslie Vosshall would do it all over again for gender equality in science, for a more family-friendly environment in STEM careers and for the future generations of women participating in life sciences. In the early 1950s, two English physiologists named Alan Hodgkin and Andrew Huxley wrote a five-part magnum opus of papers formally describing the electrochemical basis of action potentials, those short lasting impulses that travel along nerve cells. Starting with electrophysiological measurements of squid giant axons, they formulated a precise mathematical model of how action potentials arise and propagate based on the movement of small charged atoms called ions, across a cell membrane. Hodgkin and Huxley made their way to Stockholm in 1963 for this work, having achieved a true breakthrough in neuroscience. Yet such a complete synthesis was more of a molecular starting point founded on a key assumption: the Hodgkin-Huxley model critically relied on the idea that the cell membrane underwent transient changes in ion permeability. In other words, the cell membrane possessed a highly optimized border control system that would permit some ions in (or out) at one specific time and place, but not at others. How such a system actually worked at the molecular level could only be guessed at. For their part, Hodgkin and Huxley dryly wrote that the “details of the mechanism will probably not be settled for some time.” Their assumptions turned into predictions—the richest of guides for future scientists, among them Roderick MacKinnon. One vital element of the Hodgkin-Huxley model that captured MacKinnon’s fascination centered on potassium ions (K+) and the heroic feat they needed to pull off to escape the cell. With a radius of 1.38 Ångströms, these water-loving ions manage to cross a cell membrane that resembles a great wall of grease, over 40 Ångströms thick. This would roughly translate into a barrier eight stories tall for a human sized potassium ion—scalable perhaps by Superman, were the building not made of solid Krypton. K+ ions can’t manage such an exploit alone. To get around this, Hodgkin and Huxley postulated the existence of a channel that would ferret K+ ions out of the cell. Despite the idleness implied by the name, the channel they predicted was no ordinary hallway for K+ ions. For the Hodgkin-Huxley model to work, this channel needed to be a complex machine capable of differentiating K+ ions from among scores of other (often smaller) ions, and it also needed to open and close at precise moments. In other words, it was a very selective gate. For MacKinnon, this presented a tantalizing puzzle to determine the molecular basis of ion selectivity. How did the channel conduct potassium ions, but not others, such as physically smaller sodium (Na+) ions? After undergraduate thesis research in Chris Miller’s laboratory at Brandeis University, MacKinnon took a slight detour to go to medical school, before finding himself back in the Miller lab, thirty years old and feeling behind as a scientist, for post-doctoral work. He quickly caught up, and found himself amidst exciting times for ion channel research in the late 1980s. As a postdoc, MacKinnon worked out the mechanism of how a scorpion venom toxin blocked K+ channels in skeletal muscle (it plugged the pore). The first K+ channel called Shaker was cloned from fruit flies around the same time. Performing a “let’s see what happens” experiment, MacKinnon determined that the scorpion toxin also blocked the Shaker channel. This was fortuitous, since it meant that the specific amino acids that interacted with the toxin could be mapped to help define the pore of the channel. It was a solid first step that harnessed the power of molecular biology to explain potassium selectivity. Over the next few years, MacKinnon with his newly established lab at Harvard, determined which amino acids were essential for potassium conductance, and in broad strokes, worked out what the channel ought to look like. They imagined a tetramer of protein subunits encircling a central pore that could open and close, and where each subunit contributed a loop of amino acids whose job it was to discriminate K+ ions. And yet, despite a wealth of biophysical and biochemical data, a satisfying explanation of how the channel conducted potassium much better than smaller sodium ions remained elusive. MacKinnon sought to “see” an ion channel. Over the last decade, nationalist and anti-immigration parties have gained voters throughout Europe (Front National, Golden Dawn, Alternative für Deutschland, Lega Nord, and many more). Brexit is not the first case where citizens have decided in favor of legislation that jeopardizes international academic cooperation. In Switzerland, scientific collaborations are at stake after the passage of an initiative launched by the national-conservative and right-wing populist “Swiss People’s Party.” The initiative, entitled “Against Mass Immigration,” threatens the free-movement policy of the Schengen area (a group of EU and non-EU European countries with an agreement of free movement). In response, the European Union has expelled Switzerland from mutual science and exchange programs. To date, Swiss scientists are still in fear of the consequences resulting from the implementation of this initiative. Switzerland, Iceland, Liechtenstein and Norway are not part of the EU, but have signed the Schengen Agreement. Together with the EU-member states, those countries therefore form the Schengen area. Inside this area, border controls have been abolished and the principle of free movement is pursued, which immensely aids scientific exchange in Central Europe. As the biggest EU Research and Innovation program ever created, Horizon 2020 made nearly 90 billion dollars of funding available to researchers between 2014 and 2020. The aim of the project is to further develop the European Research Area and to “break down barriers to create a genuine single market for knowledge, research and innovation.” Non-EU countries inside the Schengen area take part in EU projects such as Horizon 2020, and Switzerland plans to contribute 4 billion dollars to the project. Switzerland’s semi-direct democracy is unique and practices direct democracy in parallel with the representative democracy voting system. A vote can be organized by the people to oppose any law newly accepted by the Federal Assembly, as well as to modify the existing constitution with a so-called initiative. In 2011, the “Swiss People’s Party” launched the “Against Mass Immigration” initiative, aiming to limit immigration through quotas. Even though no number was specified for such a quota, the idea stands in stark contrast to the free-movement policy of the Schengen area. The party’s arguments fueled the fear of unemployment, the financial crises and the refugee flow. These arguments are similarly exploited by many other nationalist parties in Europe or other people who would like to secure their countries by building walls. 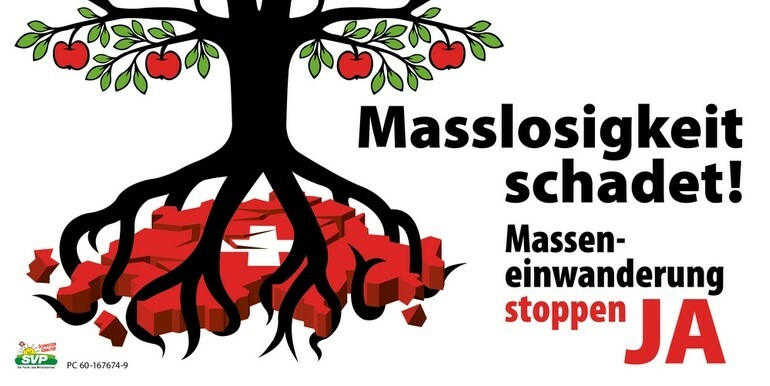 Unfortunately, Swiss citizens approved the initiative with a narrow majority of 50.3% in 2014. All cells, in the end, are copies of copies. But unlike the loss of quality in the Xerox sense of making a copy, a cell needs to be perfect. It must faithfully and exactly duplicate its genetic information, gather extra membranes, energy and microtubules, and then begin a dramatic line dance to separate its two genomes during mitosis. This entire process—known as the cell cycle—ensures the timely and correct reproduction of cells that is crucial for the growth of any organism. But from the time of Virchow’s famous 1850s epigram that all cells come from cells (Omnis cellula e cellula) through the birth of molecular biology in the 1950s, all a biologist could do was watch this central process of development. The awesome molecular logistics that made the cell cycle so precise and ordered were a mystery. Who, from a molecular perspective, was in charge? How did a cell know when to execute a particular phase of the cell cycle? These questions weren’t just idle puzzles, for by this time it already been suggested, that many cell proliferative diseases such as cancer might be manifestations of cell cycles gone horribly wrong. 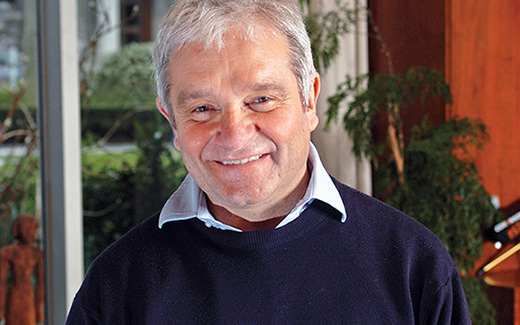 In 1974, a young post-doc named Paul Nurse set out to explore the cell cycle in fission yeast (Schizosaccharomyces pombe). Fresh from earning his PhD, Nurse spent half a year learning the genetics of Sz. Pombe with Urs Leopold before joining the laboratory of Murdoch Mitchinson, a pioneer of fission yeast genetics in Scotland. Nurse was inspired by the work of Leland Hartwell, who devised a way to isolate mutants of budding yeast (Saccharomyces cerevisiae) that were stuck in their progression through the cell cycle. Because such mutations were lethal, Hartwell relied on a quirk of yeast genetics that permitted temperature sensitive mutations: the yeast divided normally at lower permissive temperatures, but at higher temperatures, mutations would become apparent, and were usually lethal. Through the painstaking work of taking time-lapse photographs of many yeast mutants, Hartwell identified dozens of cell division cycle (cdc) mutants, each displaying a distinct problem in their cell cycle. Nurse decided to apply a similar approach to rod-shaped fission yeast, which on paper, seemed tailor-made for such studies. Unlike budding yeast, fission yeast grows at a fixed diameter, and cells partition automatically once lengthened to roughly double their size. Nurse figured that cell cycle mutants would be unable to separate, and so should yield lengthened rods that were whole multiples of a single cell. Reasoning that such mutant cells were heavier, Nurse had the bright idea of trying to isolate them with a centrifuge instead of laboriously screening with the microscope. “Cool” and “Awesome” are just two of many joyous exclamations I hear while I am trying to squeeze through the crowd of children, parents and other interested individuals filling up the NYU Kimmel Center to the brim. 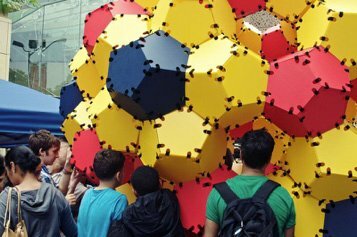 On Sunday, June 5, citizens from all boroughs came to Washington Square Park to engage in “Street Science,” a free educational experience, which concluded the World Science Festival hosted by NYU during the preceding week. The helpers and organizers were positively surprised by the huge interest in the event despite that it had to be relocated indoors due to an unfavorable weather forecast. At countless stations, helpers from NYU and other institutes inside and outside of the city demonstrated exciting experiments, interesting natural phenomena and brainteasing mathematical conundrums among other things designed to bridge the gap between STEM (Science, Technology, Engineering and Mathematics) disciplines/topics and the (mostly) young audience. Even though the excitement and the light-hearted nature of events like “Street Science” is sincere, the apparent need for such events does highlight current issues in STEM education in the United States. 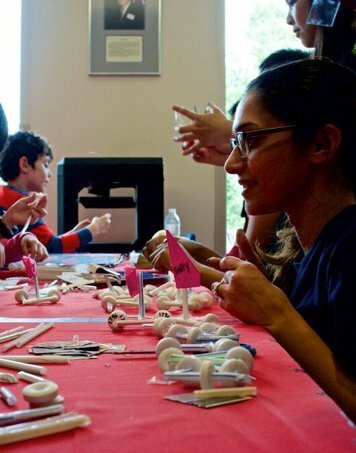 According to the 2012 report of the President’s Council of Advisors on Science and Technology (PCAST), which is rather fittingly titled “Engage to Excel,” the US is facing a shortage of up to one million STEM professionals by the end of 2018. The country has a history of relying on foreign professionals to satisfy those work-force demands. Increasing education and job opportunities in the foreign job markets pose serious threats for the domestic STEM job sector and, ultimately, the US economy. Therefore, in their report for President Obama, the experts from PCAST (whose roster reads like a Who’s Who of science and technology, and includes minds such as Eric Lander of the Broad Institute of MIT and Harvard, as well as Google’s Eric Schmidt) make it clear that in order to close one gap, one has to close another. Specifically, in order to produce enough STEM graduates, the younger generation of today (including K-12 and college students) must be engaged early and made aware of the wonders of science and technology, and the importance of STEM issues for our everyday lives. Public science education events like “Street Science” but also the rising number of afterschool STEM programs, are practical steps in the right direction, but it will require continuous effort from both the public and the private sectors to keep STEM careers looking “Cool” and “Awesome” in the eyes of the bright minds of tomorrow. What were your science laboratory classes like when you were in grade school or high school? Did you ever get a chance to use a fluorescence microscope? Or sequence DNA? I never did. What if you had never been exposed to much laboratory science during your school years, would you have gone into the field? Probably not. This is the idea behind the BioBus. It’s a 1974 public transit bus converted into a mobile lab, with research grade microscopes. The bus’s staff and volunteer scientists travel to schools in in New York City and all over the country, particularly to underprivileged areas. 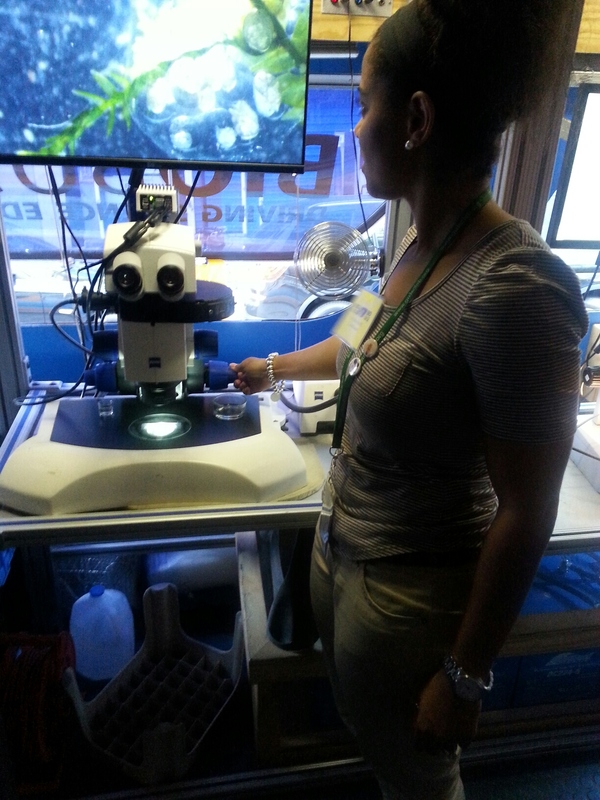 Using the microscopes, they give hands on laboratory lessons in areas such as development, ecology and evolution. This gives young students a chance to actually perform a science experiment, something they might not normally have a chance to do. It spurs their interest in science and hopefully will help to develop the scientists of the next generation. The BioBus was started in 2008 by Ben Dubin-Thaler, after getting his Ph.D. in Biology from Columbia University. The bus is retrofitted to use both solar power and biofuel. With the seats gutted, the bus has six different research grade microscopes, all with monitors, so that all the students can share their views with others. There is a light, a fluorescent, three dissecting and even an electron microscope, which only has a footprint of about two by three feet. In addition, there are two “MiScopes”, a camera probe attached to the dissecting microscopes to let the students examine their own skin, eyes, or whatever material they have. BioBus staff scientist Robert Frawley, formally of Cornell, notes “kids really like woven things since you can see the thread very clearly.” The scientists who conduct the labs are mostly volunteer, some from Rockefeller University and the other Tri-Institutions. They use fruit flies, snails, mollusks, skin cells, pollen grains and an organism called daphnia. It’s a transparent, microscopic shrimp-like organism that naturally lives in ponds and waterways in the area. It’s good for teaching anatomy since their anatomy is similar to human and visible. Under a microscope, one can see a daphnia’s heart beating and food moving through their digestive tract. The children get a chance to identify whatever organism they are working on by its DNA. The students do the pipetting to isolate the DNA and run a Polymerase Chain Reaction (PCR), which replicates the DNA in order to make it visible on an electrophoretic gel. This gel is a method of separating the DNA bases into bands in order to determine the sequence. The scientist teacher will then show them a gel that has already been run. With an onboard computer, the students compare the DNA sequence they have derived with online databases to identify their organism. The lessons typically run about forty-five minutes. Besides the metropolitan area, the bus has been as far west as Colorado and New Mexico. Sixty-five percent of their visits are to schools in low income neighborhoods. 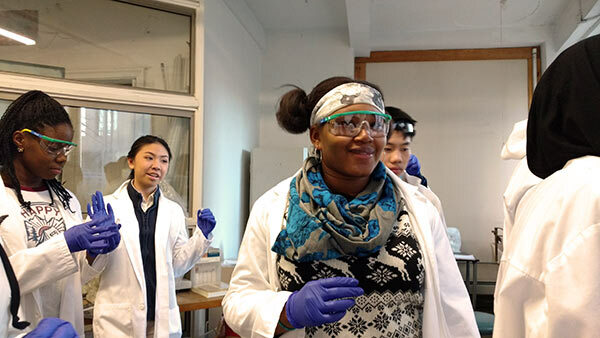 The students are mostly African-American, Hispanic and female; groups that are underrepresented in science professions. Statistics from the BioBus show that a dramatic improvement in the students attitude towards science. The bus serves over 30,000 children a year, from grade school through high school. They have been visited by Bill Nye, “The Science Guy,” and Nobel prize winner Martin Chalfie. He won the Nobel Prize in Chemistry in 2008, for the discovery of green fluorescent protein, which is used as a marker for gene expression. On a typical day, a scientist will meet the bus early in the morning at the first location they are visiting that day. They set up the microscopes and prepare the samples for the lessons. The first students can come on the bus at 8 a.m. Frawley relates “We have major points we want to address in our lessons, however teachers on the BioBus love to let students push the conversation with their questions and comments.” As they leave, the students get worksheets and stickers that say “Biobus Scientist.” The staff then has to clean up and set up for the next group. When the school day is done, they secure the microscopes and supplies and head back to the BioBase. The BioBase is an extention of the Biobus opened in 2014. It is a bricks and mortar lab housed in The Girls Club on the Lower East Side. There they have after school, weekend and summer programs, too. A Regents class is offered in four one hour sessions. There is a small amphitheater for giving classes and presentations. The students will make posters from their work and present them. In the laboratory they have four dissecting scopes and two light microscopes, as well as two more MiScopes and a florescence microscope. There is some bench space, a sink, incubators, fish tanks, an under counter refrigerator, a table top centrifuge, and lab coats. In the fish tanks are organisms they collect from the East River, such as oysters and other crustaceans and many different microorganisms used in the lessons. Most funding for the BioBus comes from private and corporate donors such as Regeneron, Lumenera and the Simmons Foundation. All of the microscopes are donated, which is equivalent to an amount in the six figures. There are plans to purchase a second bus. While there is a small staff, most of the scientists are volunteers. Rockefeller’s own Jeanne Garbarino has worked with them. For more information, go to www.biobus.org. Last January 11, a human clinical trial in phase I caused brain death in one healthy volunteer, while five others were hospitalized. Unfortunately, this is not the only case where healthy volunteers have died or been severely affected. 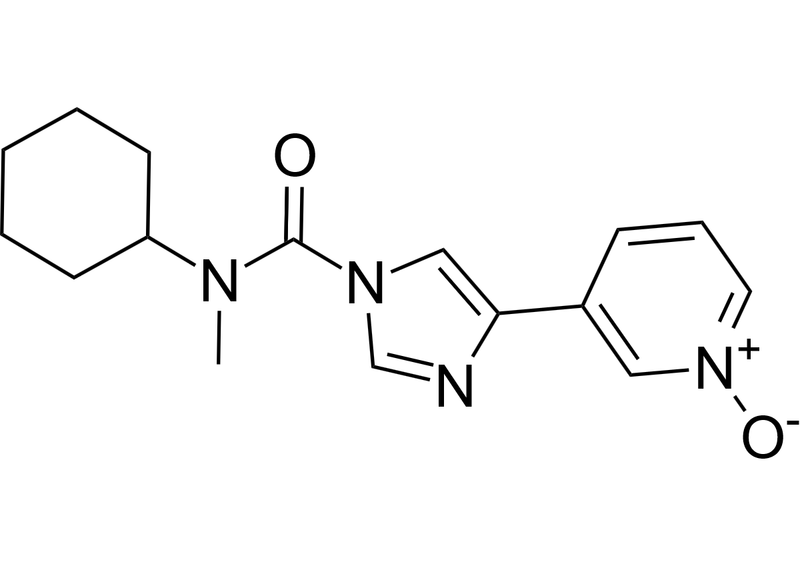 The molecule (BIA 10-2474) produced by the pharmaceutical company Bial, is an inhibitor of the fatty acid amide hydrolase (FAAH), an enzyme that catabolizes bioactive lipids, including the endocannabinoid anandamide. The drug was developed as a therapy for anxiety and motor disorders associated with Parkinson’s disease, as well as chronic pain in people with cancer and other conditions. Other pharmaceutical companies have previously performed clinical trials to test the analgesic effect of other FAAH inhibitors with no signs of toxicity. However, these studies ended in phase II due to lack of drug effectiveness. Remarkably, the affinity of the inhibitor tested by Pfizer was 14,000 times higher than that of BIA 10-2474. This implies that the specificity of BIA 10-2474 to inhibit the FAAH enzyme is very low. 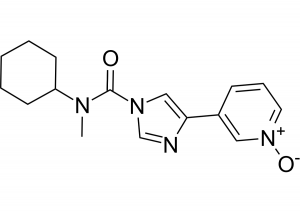 Moreover, the molecular structure of BIA 10-2474 includes a highly reactive imidazole aromatic ring that can bind to other brain enzymes, including 200 other hydrolases with similar structure and whose activity is far from being understood. The investigation, led by the French National Agency for Medicines and Health Products Safety (ANSM), has also shed light on a series of irregularities that occurred during the preclinical trials and were kept secret by Bial, as part of trade secrets. Conceivably the most serious among these is that according to the chemical structure of BIA 10-2474, it is most likely to be an irreversible inhibitor, rather than reversible as the company claims. This implies that even very small concentrations of the drug can irreversibly inhibit, not only the activity of the FAAH enzyme, but also the 200 other hydrolases present in the human brain. Considering this crucial information, it is inconceivable to understand how the trial design could comprise consecutive administrations of high doses of the inhibitor. This piece of evidence seems to be clearly related to the brain damage induced by the drug, as the severely injured volunteers were those who received only the highest doses of the drug. From sixteen groups of eight volunteers administered with increasing doses of BIA 10-2474, only five people were hospitalized after receiving repeated doses of 50 mg (almost the highest tested concentration). According to the ANSM report, this concentration is 10 to 40 times higher than that required to completely inhibit the FAAH enzyme. Indeed, extrapolation of the data taken in animals to humans, suggests that complete inhibition of FAAH is achieved with doses 20 to 80 times smaller than the maximal dose planned to be tested in humans (100mg). Furthermore, even after the first person was hospitalized, the other 5 still received one more dose the next day. The Report of the ANSM states that the mechanism of toxicity of BIA 10-2474 is clearly beyond FAAH inhibition and evidence of this subject needs to be presented by Bial Laboratory in future months. Another critical piece of information that was kept secret by Bial is the number of animal deaths (including dogs and primates) during the preclinical trial. How could the drug be considered safe and approved to be tested in humans, if closely related animals died? Had the volunteers known this information, would they have taken the risk to test the drug?